1 of 1 Whisk 2 tbsp oil, vinegar, mustard, salt and pepper. Slice tomatoes and avocado and arrange on a platter. Scatter mint on top and season with salt and pepper. Rub 1 tbsp oil on cutlets; season. Grill on medium-high for 6 to 8 minutes, turning once. 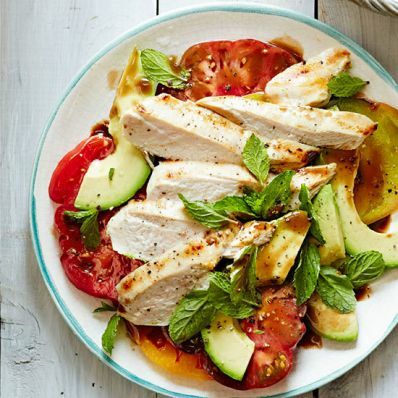 Arrange chicken over tomatoes and avocado and drizzle with dressing. 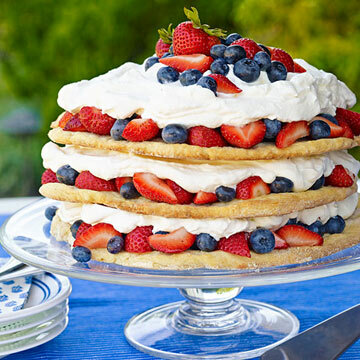 Serve with a French baguette. Per Serving: 35 g pro., 22 g Fat, total, 6 g fiber, 390 kcal cal., 14 g carb.